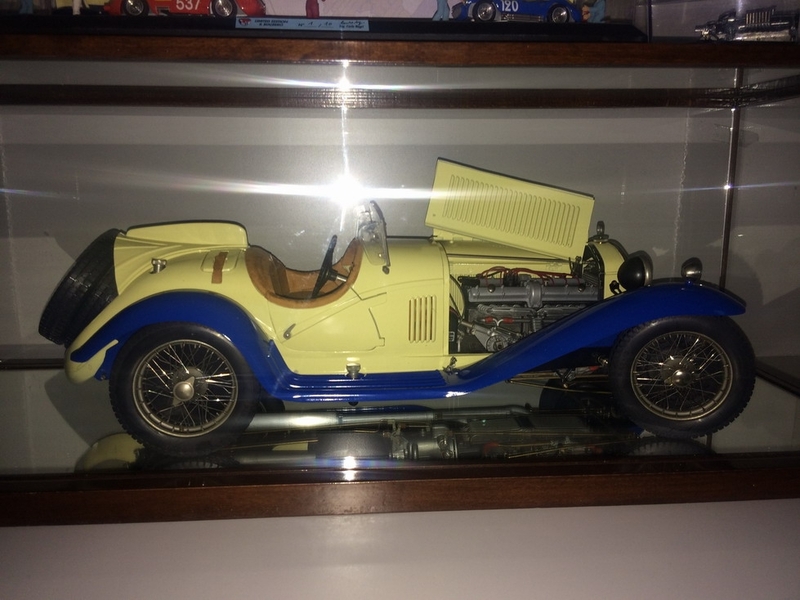 Pocher 1/8 Alfa Romeo 8C 2300 Spider Touring Grand Sport in wooden glass show case vitrine of Pocher. The Pocher factory burnt down in a fire in the 1990s. Hence Pocher kits and assembled models are highly sought after and are Collectible grade models of a museum quality for detail and accuracy. 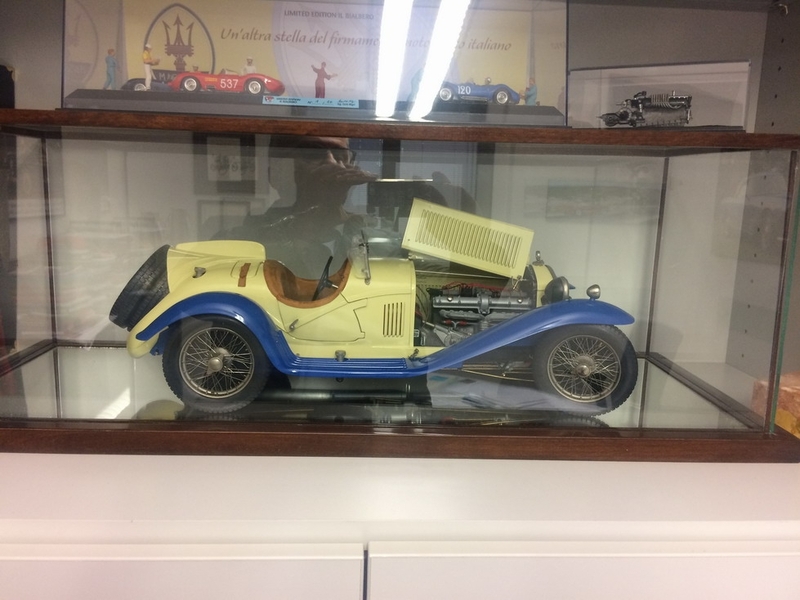 Pocher was a licensed model making company in it's day and held the original drawings and blue prints of the real cars from their respective factories. No other model making company had these drawings. Therefore, whichever scale model cars are offered by Pocher kits represent an authentic replication of the real car in a scale of 1 to 8. And the real cars (of the Pocher model cars) today are valued in the millions of dollars and sit in museums or private collections around the world.